Depression is a prevalent mental health disorder with serious consequences for the patients’ lives. Virtual Reality (VR) is a promising technology that can immerse individuals in a virtual environment, and has increasingly been used to conduct experiments and deliver interventions with higher ecological validity. One of the studies discussed here showed that individuals with depression score lower in a novel Spatial Memory Navigation task than controls. Two other studies showed some promising results in using VR to deliver interventions for depression to reduce stress and increase self-compassion in depressed individuals. Longitudinal randomized controlled trials are needed to further validate these promising results. There has been a dramatic increase in the number of studies using Virtual Reality (VR) to understand and treat mental health disorders in the recent years. A recent review  revealed that of the 285 VR studies, more than half were anxiety-related. Although the majority of studies lack sufficient power and control conditions, VR appears to be equally effective as, or even more effective than face-to-face interventions in anxiety disorders such as phobias  and social anxiety , with high treatment efficacy and persistence of effects for a long time after the treatment has finished . Depression is highly comorbid with anxiety . According to DSM5, the diagnostic criteria for major depression include depressed moods, loss of energy, insomnia, feelings of worthlessness, diminished ability to concentrate . Depression is highly prevalent, with devastating consequences for people’s lives . It has been estimated that by 2020 it will be the second leading cause of disability . It is therefore surprising that, while a plethora of VR studies have focused on anxiety, very few have focused on depression. This mini review will focus on the use of VR to explore and treat depression. PubMed was used for the search, with key words ‘Virtual Reality’ and ‘Depression’. Only the studies that had depression as their main focus were chosen. Three relevant studies were found. Before reviewing these studies, let us first consider the advantages and disadvantages of using VR. Overall, VR has the capability to deliver experiments or interventions in a more ecologically valid way than traditional computerised tasks. VR delivers the stimuli in 3D, while being able to control both the stimuli, as well as the surrounding environment . When combining visual stimuli with stimuli from other senses such as auditory, tactile, olfactory stimuli, the sense of immersion and ecological validity can be increased even further. Furthermore, VR enables the experimenter to use more realistic responses to stimuli, and not just button presses as in traditional computerised experiments . For all these reasons, VR provides a more ecologically valid way to deliver stimuli in experiments and treatments. The sense of ‘presence’ is a very important concept in VR. It refers to the extent to which the participant is part of the ‘world’ created by VR, how realistic the VR environment is for the participant . Interestingly, the extent to which the VR environment is realistic does not just depend on technical capabilities of the VR equipment, but also on the mood, immersive tendencies and visual abilities of the participant [9,10]. As a result, the same VR environment can vary from person to person in terms of level of ‘presence’. Furthermore, the VR environment can evoke motion sickness , making its use prohibitive for some individuals. In addition, in studies where the participant identifies with an avatar, certain characteristics of the avatar can influence the participants’ behaviour, making it more complicated to interpret the results of the study . In summary, the VR experience need to be carefully considered. With these advantages and caveats in mind, let us have a look at the VR studies that focus on depression. There is evidence that individuals suffering from depression have worse memory compared to healthy controls [13-15]. Gould et al.,  aimed to further explore whether spatial memory is worse for depressed participants compared to healthy controls. They used a non-immersive VR-type novel Spatial Memory Navigation task, which involved searching for a certain location in a familiar virtual town. Some of the participants also completed a more traditional spatial memory task which involved remembering which spatial locations on the screen contained an object (the Cambridge Automated Neuropsychological Testing Battery, Cambridge Cognition, Cambridge, UK.). It is interesting that, although performance for the two tasks was correlated, patients performed worse than controls only in the novel Spatial Memory Navigation task. This study demonstrates that VR can help develop more sensitive tests of cognitive function that can reveal cognitive differences between groups that would otherwise go undetected. Further studies using immersive VR could examine other cognitive functions such as attentional bias to negative information, for which there are conflicting results in relation to depression . Apart from using VR as a tool to investigate cognitive and affective processing in depression in a more ecologically valid environment, VR can be used as a therapeutic tool to decrease symptoms associated with depression. There is evidence VR can be a successful tool for mood induction [10,18] and the stronger the sense of ‘presence’, the more effective the mood induction . This capability, in combination with the high ecological validity, indicates that VR could be used as an intervention to alter the mood of individuals suffering from mood disorders. Two studies have attempted to use VR as a therapeutic tool to decrease stress  and increase self-compassion  in depressed individuals. There is evidence that high levels of stress are linked to the development of depressive symptoms . Shah et al.,  aimed to use VR to reduce stress in individuals suffering from bipolar or from major depressive disorder. In each session, participants were first involved in face-to-face discussions with a facilitator on stress management and mood disorders, positive thinking, and relaxation techniques. Subsequently, VR was used to deliver relaxation videos that encouraged participants to practice abdominal breathing, muscle relaxation and guided imagery. These videos included peaceful music and the soothing voice of the narrator. Participants went through the above once a day for three days. The results showed lower levels of stress, depression and anxiety and higher levels of relaxation and knowledge after the intervention. The results indicate that combining VR with a face-to-face intervention can increase the well-being of patients with mood disorders. Using VR to deliver relaxation exercises is highly advantageous, as the patient would not have to rely on the presence of a practitioner, and potentially could perform the exercises frequently in their own home, therefore increasing the treatment’s effectiveness. One of the characteristics of depression is being overly self-critical. Falconer et al.,  conducted a study that aimed to use VR to increase self-compassion in patients with depression. The illusion of body ownership was used to create the impression that the participant occupied the body of certain virtual characters. This illusion was created by synchronizing the movement of the participant and the virtual body. Participants were also given training in compassion, by learning sentences that corresponded to validation, redirection of attention and memory activation, three stages of compassion-based therapy . Participants first identified with the body of a virtual adult, and were given the opportunity to console a distressed virtual child, which was programmed to respond more positively after receiving compassion. Subsequently, participants identified with the virtual child receiving compassion from the virtual adult. The adult was now repeating the words of compassion that the participants themselves offered earlier. Participants went through the scenario three times over 3 weeks. The results showed that, compared to baseline, there was a reduction in self-criticism and the severity of depression, and increased self-compassion. These improvements were clinically significant for four of the fifteen participants. An issue to consider about the study by Falconer et al.,  is whether the avatar that participants embodies influence the participants’ behaviour. This is the so-called ‘Proteus effect’, whereby characteristics of the avatar that the participant identifies with, such as attractiveness and height, influence the participants’ behaviour . However, given that participants operated in the first person in the study by Falconer et al.,  this effect might not have been as pronounced. Overall, although the results of these pioneering studies are very promising, there are some limitations. One of them is that neither of the above studies included a control condition. Future studies should include control conditions, such as ‘sham’ treatment and no-treatment (waiting-list). Randomised controlled trials with sufficient power are needed to firmly establish the efficacy of VR interventions. Variability in the patient sample and frequency of the training are also important considerations. In the study by Falconer et al., (2016), the sample was variable in terms of medication and comorbidity with other mental health disorders, making the interpretation of the results somewhat more complicated, although admittedly it can be very difficult to obtain a homogeneous sample. Additionally, training in the studies discussed occurred over very few sessions for a limited time period. In future studies, frequent training with a VR device at the patients’ own home could lead to higher effectiveness and widen the usefulness of the intervention. Given that VR devices are becoming cheaper and more accessible to the public, it should be feasible to conduct such a study in the near future. Follow-up testing could explore the effects of the treatment long after the treatment has ceased. Finally, experimenters should measure the level of ‘presence’ and other individual differences in the VR experience, to make sure any VR-specific confounding variables are considered. Falconer et al.,  included such measures, and showed that participants became more immersed in the scenario with more sessions, and that their overall experience was positive. Overall, these two studies provide an important pioneering step towards the use of VR as an effective treatment for depression. In conclusion, using VR has several advantages over more traditional methods. Randomized controlled trials with sufficient power that take into account VR-related caveats are further investigate the efficacy of VR-based interventions for depression. Freeman D, Reeve S, Robinson A, Ehlers A, Clark D, et al. 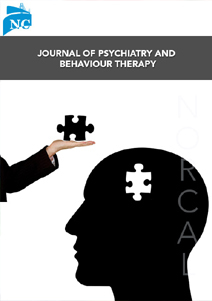 (2017) Virtual reality in the assessment, understanding, and treatment of mental health disorders. Psychol Med 47: 2393-2400. Rothbaum BO, Hodges L, Smith S, Lee JH, Price L (2000) A controlled study of virtual reality exposure therapy for the fear of flying. J Consult Clin Psychol 68: 1020-1026. Bouchard S, Dumoulin S, Robillard G, Guitard T, Klinger É (2017) Virtual reality compared with in vivo exposure in the treatment of social anxiety disorder: a three-arm randomised controlled trial. Br J Psychiatry 210: 276-283. Wu Z, Y Fang (2014) Comorbidity of depressive and anxiety disorders: challenges in diagnosis and assessment. Shanghai Arch Psychiat 26: 227-231. American Psychiatric Association (2013) Diagnostic and statistical manual of mental disorder. (5th edn), American Psychiatric Publishing, Arlington, VA, USA. Kessler RC, Bromet EJ (2013) The epidemiology of depression across cultures. Ann Review Public Health 34: 119-138. Murray C, Lopez A (1996) The Global Burden of Disease: A Comprehensive Assessment of Mortality and Disability from Diseases, Injuries, and Risk Factors in 1990 and Projected to 2020. Harvard University Press, Cambridge, MA, United Kingdom. Wilson CJ, Soranzo A (2015) The Use of Virtual Reality in Psychology: A Case Study in Visual Perception. Comput Math Meth Med 2015: 151702. Yun Ling, Nefs HT, Brinkman WP, Qu C, Heynderickx I (2013) The relationship between individual characteristics and experienced presence. Comput Hum Behav 29: 1519-1530. Riva G, Mantovani F, Capideville CS, Preziosa A, Morganti F, et al. (2007) Affective interactions using virtual reality: the link between presence and emotions. Cyberpsychol Behav 10: 45-56. Murata A (2004) Effects of Duration of Immersion in a Virtual Reality Environment on Postural Stability. Int J of Hum-Comput Interact 17: 463-477. Yee N, Bailenson JN, Ducheneaut N (2009) The Proteus Effect: Implications of Transformed Digital Self-Representation on Online and Offline Behavior. Commun Res 36: 285-312. Dillon D (2015) The neuroscience of positive memory deficits in depression. Front Psychol. Young KD, Bellgowan PS, Bodurka J, Drevets WC (2013) Behavioral and neurophysiological correlates of autobiographical memory deficits in patients with depression and individuals at high risk for depression. JAMA Psychiatry 70: 698-708. Austin MP, Mitchell P, Goodwin GM (2001) Cognitive deficits in depression: Possible implications for functional neuropathology. Br J Psychiatry 178: 200-206. Gould NF, Holmes MK, Fantie BD, Luckenbaugh DA, Pine DS, et al. (2007) Performance on a virtual reality spatial memory navigation task in depressed patients. Am J Psychiatry 164: 516-9. Lichtenstein-Vidne L, Okon-Singer H, Cohen N, Todder D, Aue T, et al. (2017) Attentional bias in clinical depression and anxiety: The impact of emotional and non-emotional distracting information. Biol Psychol 122: 4-12. Baños RM, Etchemendy E, Castilla D, García-Palacios A, Quero S, et al. (2012) Positive mood induction procedures for virtual environments designed for elderly people. Interact Comput 24: 131-138. Shah LB, Torres S, Kannusamy P, Chng CM, He HG, et al. (2015) Efficacy of the virtual reality-based stress management program on stress-related variables in people with mood disorders: the feasibility study. Arch Psychiatr Nurs 29: 6-13. Falconer CJ, Rovira J, King JA, Gilbert P, Antley A, et al. (2016) Embodying self-compassion within virtual reality and its effects on patients with depression. Brit J Psychiatry Open 2: 74-80. Yang L, Zhao Y, Wang Y, Liu L, Zhang X, et al. (2015) The Effects of Psychological Stress on Depression. Curr Neuropharmacology 13: 494-504. Gilbert P (2010) Compassion Focused Therapy. Distinctive Features. Routledge, United Kingdom.